I'm Barb - welcome to the OWH blogskip! (Like a hop but shorter!) In this skip we are focusing on CAS (clean and simple cards); all the participants in the SKIP participated in a recent online card class that focused on Clean and Simple. The wonderful Jennifer McGuire was one of the instructors for the class and she is our first stop on the SKIP today. Online card classes – I always wondered how one of these would work – so I signed up for one and I loved it. I got so much information from the class – I was totally blown away. I am on my third online class. I think you should find one and participate. Of course, I may be spoiled by classes taught by Jennifer. We had 10 days of classes plus on the weekend we had some bonus posts. Everyone on the skip is going to share something they learned from the online class. I learned to embrace white space. The cards I am sharing today – I am embracing my “cream” space. I wanted to make some masculine cards and decided to use these wonderful Penny Black stickers. All the details are posted on my blog. Plus did you know – that today we are kicking off a new card drive – half Mother’s Day cards/half other cards! Check out all the information at this link. Now off to start your skipping. If you are inspired, I hope that you will make a CAS card and post it to our facebook page or use inLinkz below. Of course, please leave comments along the way because Jennifer is giving us something special - THREE spaces in the CAS class! Winners can view the class materials, just won't have the interaction that we had during the class. But it's a GREAT PRIZE! Two winners will be chosen on Sunday night by random.org from all commenters on all the blogs, and one from anyone leaving a link below - new mojo only please! And all cards must follow OWH guidelines. I wonder what we can get out of Sandy’s closet all week while she is away. You know it will be something wonderful. Now – go – start skipping! Great card. It shows like a landscape in the Netherlands. Beautiful samples, Barb - those are STICKERS?! Cool! I hope everyone has a great time while I'm gone....will miss you all! Cruise-bound in a few hours!!! Love them! Thanks for inviting me to participate! What a great skip theme and generous prize. I love the stickers you used- they look like photographs! Beautiful work! What a nice little blog skip. I truly enjoyed it. Some very talented ladies here and I am soooo very sorry that I wasn't able to get in on the CAS class. I can see that I really missed a lot of good ideas and techniques. I won't miss the next class, that's for sure. Thank you to OWH for this skip and to the participants. Job well done. I just finished the blog skip... and what a fun and inspirational skip! Beautiful cards Barb and the stickers are gorgeous. Thanks OWH, and participants, for the fun time for all of us stranded 'on shore'. heeheehee! Great cards. Love, love, love those Penny Black stickers. Last month I have almost 40 cards using them. Great CAS samples everyone and a fun skip too! Great Clean and Simple card. Terrific card and a terrific giveaway! What a fun hop! Thanks for showing us all these gorgeous cards, ladies! This is such a gorgeous nautical card!! Hmmmm. . . gonna have to check out the Penny Black stickers -- these CAS cards are beautiful! Thanks for some great inspiration! Love the use of stickers, though those I have are way smaller! Goodness! I love all of the cards on the skip. I am trying to do more CAS and this gave me a lot of inspiration. Thanks ladies!!!! How fun. Love the use of stickers! Handsome cards, Barb! Those beautiful images are stickers?? Life IS good!! Gorgeous cards and I would say that you embraced "cream" to perfection! What fun to see the creations from the CAS class! Love the use of stickers on the card. I never think to use them. I love everything Jennifer does, so I am sure the class was wonderful. PS I love her dog Roxie! Very nice cards... can wait to see all the other creations. Barb, Great Job organizing the Skip. I love your cards; they are very classy and you've proven that you can really do a lot with a sticker! Thanks for all your hard work for OWH! I like the subtlety of the different embossing techniques. White space is a tough one for me, too. You nailed it, I think. Thanks for a great blog 'skip'. I was unable to comment on Beth and Sheila blogs, but loved their creations as well. Thanks for sharing ! So much goodness all in one blog "skip" ~ I was totally impressed with the different techniques. See I have lots of new inspiration to jump start my creativity. The Online Class sounded wonderful ~ was sorry I had to miss it but was dealing with a family illness at the time. Thanks for the chance to win! The SKIP was great! So many new ideas and techniques to try for cardmaking. Thanks for sharing ladies! WOW Barb! For stickers, these cards look amazing! I'm always looking for new ways to do CAS, so I'm very interested in this skip! Thanks for doing it! LOVELY CARD! I really like the idea of a skip instead of a hop for a change of pace. Thats what I need to do - embrace the white space! Love your cards! Thanks for the inspiration! Totally awesome cards! I love the sea and the sailing theme!!! What a great skip this was! Loads of inspiration and incredible CAS cards! Lots of people think CAS means easy...not to me! It's usually harder since if something doesn't work it's glaringly obvious. Got some really good ideas and the Mojo is dancin'! Thanks very much for the great skip. The cards were all wonderful. Lots of ideas that I will have to try. Great cards!!! I'm always looking for CAS cards so this skip should give me some inspiration! ty for the skipping opportunity! luv yours! ok had my look-n-see around your skip...wonderful! ty from the bottom of my heart for all that you are doing...each and everyone of you... makes me so emotional...but really ...it is such a great thing to do! hoping many more join in ...would be a great thing to have all our troops home with their families all the time... luved the cards...my list just keeps getting longer for stamps tho lol! What a wonderful Blog Skip! I thoroughly enjoy the smaller skips. And all of the card makers that participated did such a fantastic job! Very inspirational! I need to make some masculine cards for a church group...never thought of stickers! A great solution...thank you for the idea and for the fun skip. The the CAS challenge . . . and would love to win a spot on the course. Wonderful Cards! I especially LUV LUV LUV the boat images. So classic! 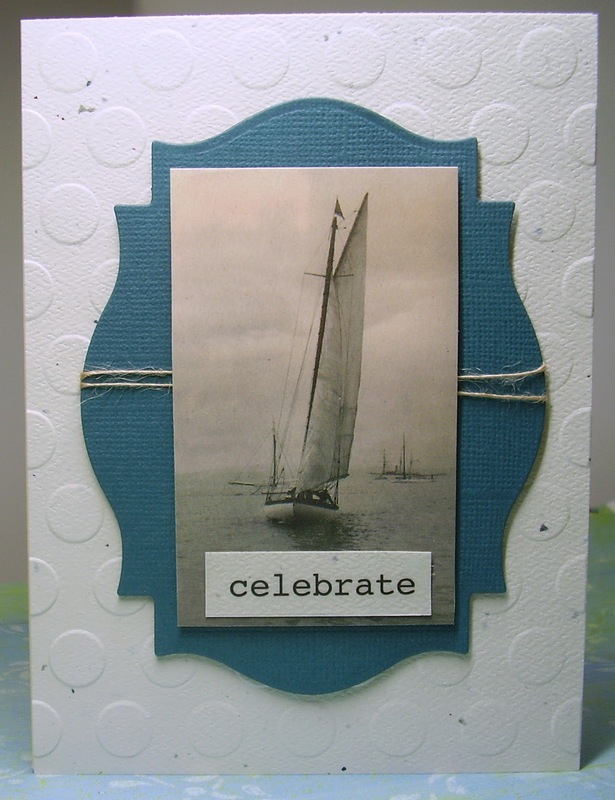 Loved your 'white space' cards...especially love the nautical theme. How cool to see cards with photos on them! 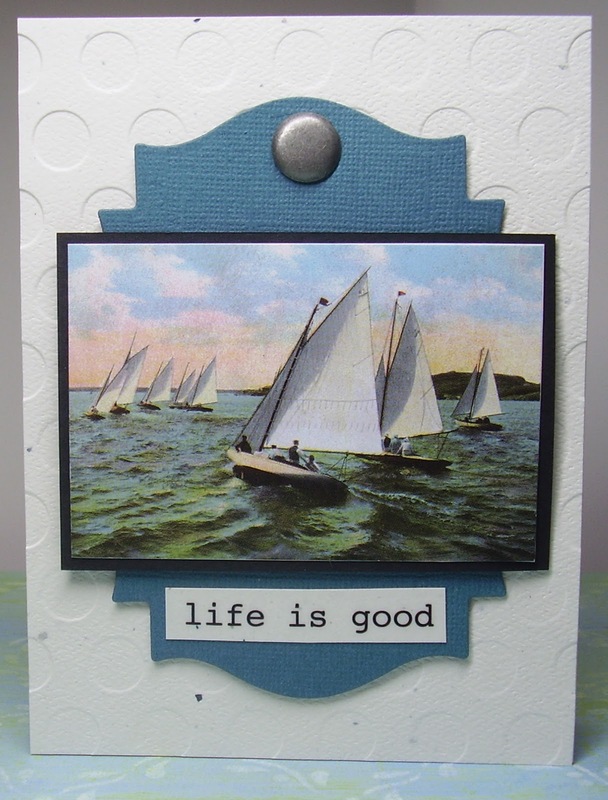 Just finished the Blog Skip and loved all the wonderful inspirational cards. Thanks for another great Blog Skip! What a great skip! Got some really good ideas to use for the Mother's Day cards! Thanks ladies for hosting! Thanks for sharing your techniques you learned in a class. I'm always looking for new stuff to do. I'll try a CAS soon. I just looove CAS .... thanks for all this inspiration. Love your CAS card, Barb! Looking forward to a great hop. These are really nice and simple cards. Thanks! OH I just love hops/skips/jumps - whatever! Awesome cards! masculine cards are so difficult and yours are perfect! Thanks for the inspiration. The CAS class sounds like so much fun! The ships are really wonderful! I can imagine one of our Navy heroes really loving having a chance to send these home to a loved one! TFS! It was a wonderful and inspirational SKIP! rgauss at sbcglobal dot net.